He constantly impresses me with his choices! According to an article in Esquire mentioned in this website, Daniel Radcliffe has decided to don ballet shoes and take up ballet! 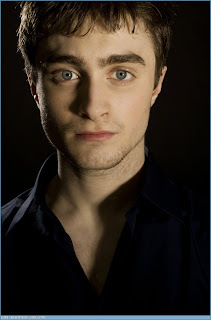 Daniel Radcliffe has revealed that he is taking ballet classes in an effort to protect his career after his Harry Potter glory days have ended. The 19-year-old explained to Esquire magazine that he knows he will soon have to compete with other actors his age when they have completed their training in drama schools which have taught them to sing and dance. He told Esquire magazine that he sees ballet as a way to make himself "as viable a choice for any part" as possible. What a mature and dedicated actor he has become! To this day it sure baffles me why he wasn't nominated for this year's Tonys for Best Male Lead Actor in a Play. Maybe he can get pointers from the current Billies from Billy Elliot and I sure do hope we get to see him in a musical on Broadway one day.